Chick-fil-A CEO Dan Cathy has come under fire for anti-gay remarks. 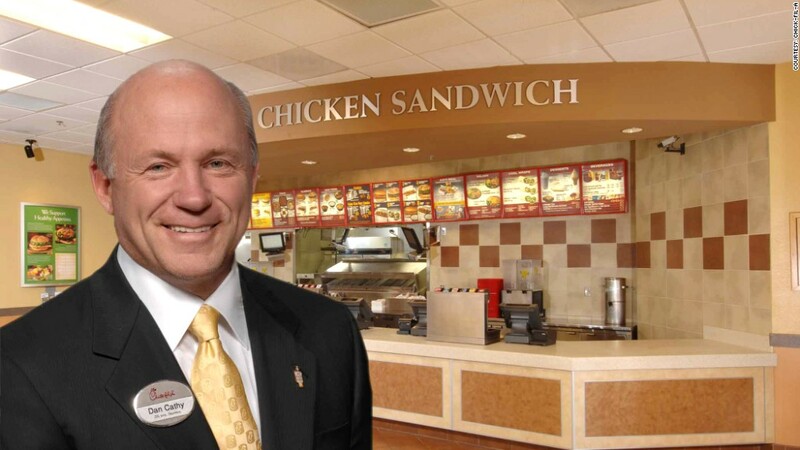 News that Chick-fil-A CEO Dan Cathy won an equality award isn't sitting well with many gay rights supporters. The Urban League of Greater Atlanta, a nonprofit civil rights organization, presented Cathy with the Community Empowerment Award at its Equal Opportunity Day Dinner last Saturday. The event celebrates "champions of justice and equality," according to the Urban League's website. "This award is a slap in the face to the hard-working LGBT [lesbian, gay, bisexual and transgender] people who are struggling without employment protections, trying to secure the freedom to marry, and earn the basic respect of people like Mr. Cathy," said Ross Murray, director of news at LGBT rights advocacy group GLAAD. "Based on his previous comments, Mr. Cathy doesn't understand equality for all." And Twitter was buzzing. "He wants us all not married equally," one person tweeted. Apart from the CEO's personal views, the restaurant chain consistently ranks poorly for corporate equality based on analysis from the Human Rights Campaign, which reviews the employment policies and benefits of thousands of U.S. companies. On a scale of 0 to 100, Chick-fil-A earned a 0 this year. Attempting to address "questions and concerns about why Dan Cathy is among the awardees," the Urban League of Greater Atlanta issued a statement explaining its decision. It cited Chick-fil-A's financial contributions to the Atlanta Community Food Bank and a local financial literacy program for children, as well as assistance for poor, homeless and otherwise disadvantaged communities in the area. "Please be assured that the Urban League of Greater Atlanta supports and works for equal rights for all people, regardless of age, gender, sexual orientation, religion, or physical ability," the statement said. Chick-fil-A declined to comment about the award.